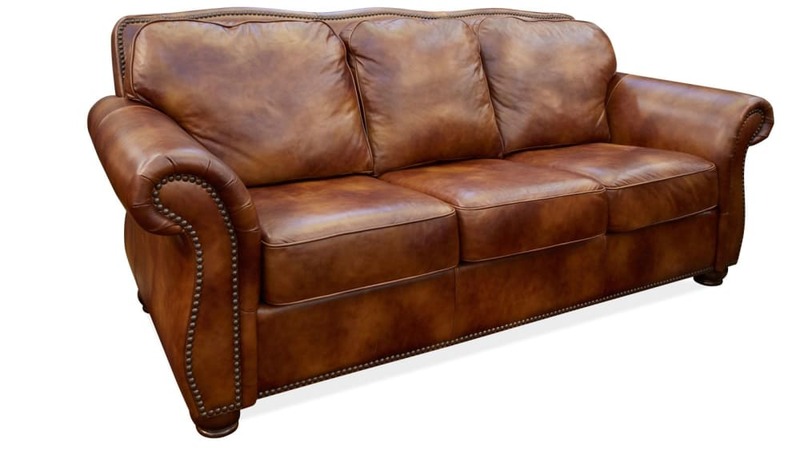 This American-made sofa doesn't skimp on style, quality, or that beloved rustic charm. With three spacious cushions, you can easily kick back with loved ones or a few friends and unwind for the day. Pull up a cushioned ottoman, and you'll have the ultimate space to relax. You can trust the high-quality construction, thanks to American craftsmen. Resilient cushionsprovide the support you need, after a long day. The molasses-colored leather is so soft that the first touch will make you melt. Nailhead trim borders the entire frame, for a stylish touch. Wooden bun feet provide a stable base. Show your patriotic spirit by supporting the American craftsmen who worked tirelessly to create this masterpiece for your living room. 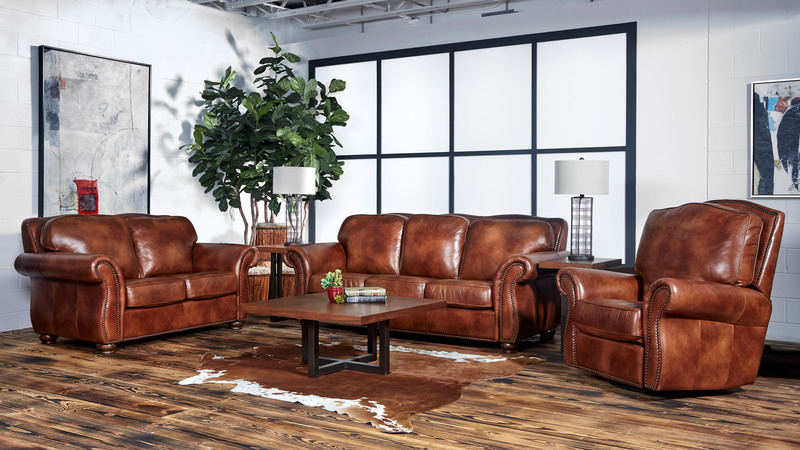 With nothing but the highest-quality materials and utmost attention to detail, every inch of the Navasota Leather Sofa was made with care. 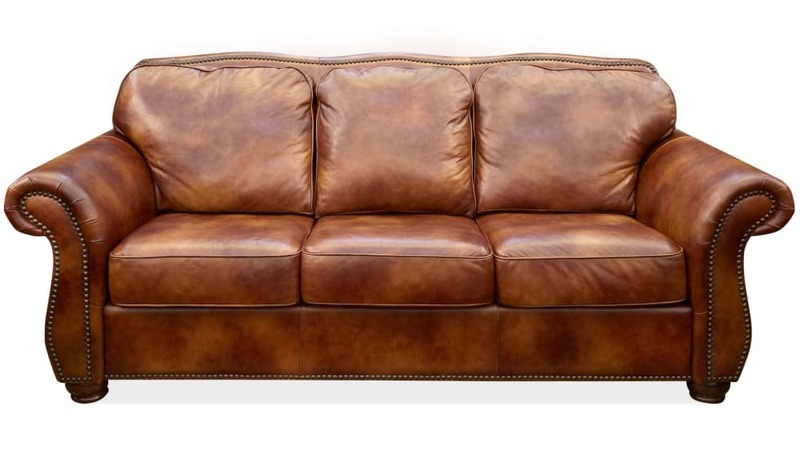 Don't wait to bring the warmth of this sofa into your home. Have it delivered to your door the same day you order it, with Gallery Furniture's same-day delivery guarantee. Instant satisfaction!